Anodized aluminum is aluminum that has been treated to develop an exceptionally durable finish. To create anodized aluminum, you use an electrochemical process where the metal is immersed in a series of tanks, wherein one of the tanks, the anodic layer is grown from the metal itself. Because this anodized layer is created from the aluminum itself, rather than being painted on or applied, this anodized aluminum will never chip, flake, or peel, and it is much more durable than any other similar material on the market. Anodized aluminum is three times harder than the raw material, and 60 percent lighter than other competing metals like stainless steel and copper. How is Coil Anodized Aluminum Different? At Lorin Industries, we produce anodized aluminum using a tightly controlled coil anodizing process that delivers a higher quality product at lower processing costs. Coiled raw aluminum is unwound and pulled through a series of tanks that clean, anodize, color, seal, and finally rewind the coil all in one continuous movement. At the end of the process, we’re left with exceptional quality anodized coil aluminum that is durable, versatile, and that features consistent color matching per our client’s specific request. Already rolled, the anodized aluminum is ready to ship to its destination. The coil anodized aluminum process eliminates several steps that are part of the more traditional batch aluminum anodizing process that adds to cost and inconsistencies in the finish. With the batch anodized process, an electrical contact point must be created for the electrical current to work to help grow the anodic layer. This is done by attaching each piece that is being anodized with a metal hook, or rack, which often leaves burn marks, also known as rack marks on the material which must be trimmed off adding extra waste and cost. Because every square inch of the material in coil form spends the same amount of time in each part of the process, you can be assured that the color will be consistent. Unlike the coil anodizing process, during batch processing, the aluminum pieces or panels are individually dipped into each tank which leads to some parts of the metal spending more time in each part of the process and causes inconsistent color and anodized layer thickness. Additionally, because each piece of the metal must be individually mounted onto the racks so they can be dipped into the tanks, there can be handling damage that adds to the cost. Coil anodizing is a continuous process that requires little to no handling at all, reducing the potential for damage and saving money. Learn more about the individual phases of the coil anodizing process here. Coil anodized aluminum offers consistent color and finish, and converts standard aluminum into an amazingly versatile product with superior function. What Are The Benefits of Anodized Aluminum? Aluminum is a durable material to begin with, but following the anodization process, the surface becomes even tougher than the base aluminum. Anodized aluminum creates a surface that is three times harder than standard aluminum, and will not chip, flake, or peel, even when processed to add color. Because the anodization process is controlled oxidation of the aluminum, the product will also never rust, patina, or weather. Anodized aluminum is one of the toughest, most versatile metal products on the market. Anodized aluminum has an appearance that lends beauty to any item. When left natural, anodized aluminum is a bright new silver color, and can be anodized in a way that leaves either a matte or bright finish. You also have the option to choose a custom texture like stucco, brushed, or pebble tone to give your product a unique look and feel. Because of the open pore structure of the anodic layer prior to sealing, anodized aluminum can be finished to match nearly any brand color or Pantone swatch you can imagine. The versatility of the material also means it can be made to mirror the look of other metals, giving you the appearance of gold, bronze, copper, stainless steel, brass, and more, without the risk of weathering. However, if you like a weathered look, Lorin has many weathered appearance finish options to choose from. Because of the nature of anodized aluminum, whatever color you choose, will not flake, chip, or peel, and will remain true throughout the lifetime of the product. And if you choose colors from Lorin listed as UV stable, you can count on those colors to last. Anodized aluminum is a lightweight metal, weighing approximately 60 percent less than stainless steel, copper or brass. This makes shipping the material much more cost effective, and can solve a myriad of design issues. From architecture to designing consumer goods, wherever a lightweight, durable, and attractive material is necessary, anodized aluminum offers a versatile solution. Because anodized aluminum is so much lighter than other metal products, it costs considerably less to ship to a job site or manufacturing facility. 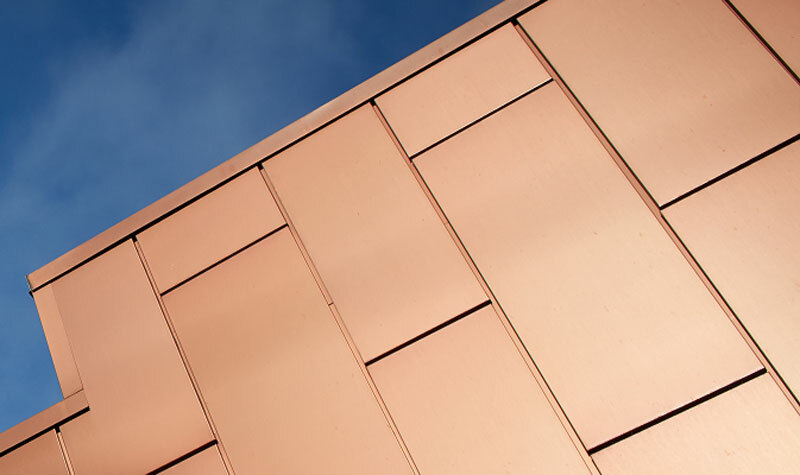 Due to its high strength to weight ratio, anodized aluminum has a lower overall cost per square foot for use in projects than materials like steel, zinc, bronze, brass, and copper, while still offering the same visual effect. Because aluminum is plentiful and renewable, along with being the only metal that is 100% recyclable, combining that with the process to create anodized aluminum being so environmentally friendly, it’s environmental footprint is much less than other products. All of these factors add up to a versatile, durable product that will last longer than other materials on the market. 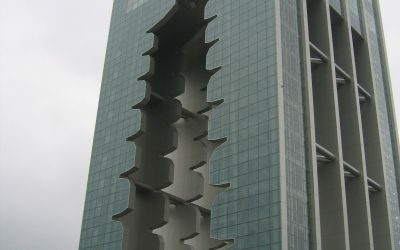 Where is Anodized Aluminum Used? 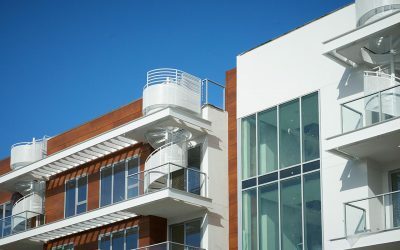 Anodized aluminum will never rust, patina, or weather, which makes it an attractive choice for beautiful, modern buildings and construction exteriors or interiors. Because anodized aluminum can be made to order in any color, finish, or texture, it’s also an attractive, lightweight, and affordable option for interior finishes like ceiling panels, store signage, and elevator panels. Three times tougher than the raw material, anodized aluminum performs at any speed. From commercial aircraft interiors to rail car panels to the exterior bright trim on sports cars, anodized aluminum offers the durability and weather resistance transportation vehicles need, and the exceptional style they desire. Consumers want attractive, long-lasting products that reflect their aesthetics and lifestyle. No matter the look, texture, or color you’re looking for, anodized aluminum can deliver. 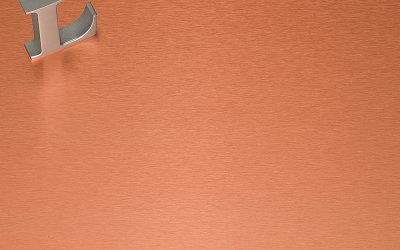 From kitchen backsplash panels to microwaves, coffee makers, and other consumer goods, anodized aluminum offers the versatility and quality your consumers demand. Whether you’re creating impressive buildings and structures, artwork, the latest line of luxury vehicles, or high-end appliances, anodized aluminum can be a beautiful part of your project or product. The anodizing process is eco-friendly and produces a finish with unparalleled and dynamic beauty, longevity, and durability. Contact us to discuss how you can create without limitation with Lorin anodized aluminum. The beauty and versatility make Lorin anodized aluminum ideal for nearly any application — don’t hold back, reflect your vision with coil anodized aluminum.